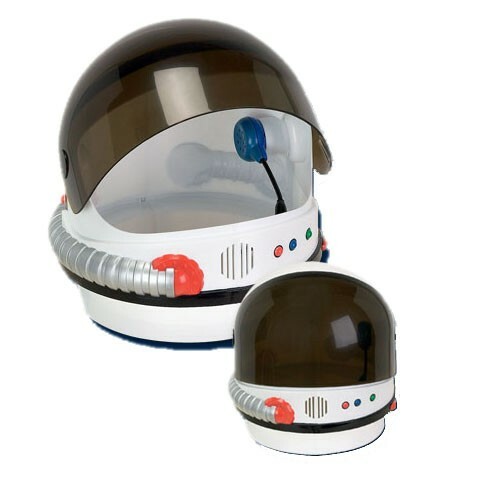 NASA space helmet - spacekids - space toys, dressing up costumes, kids spacesuits, astronaut food, cool space stuff! 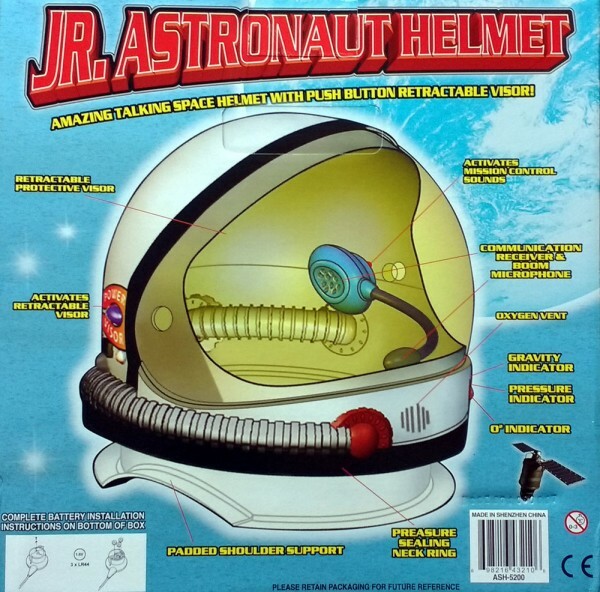 Talking astronaut helmet with spring loaded retractable reflective visor shield. This is a large sized space helmet, which fits children of 5 years and up, and can fit most adults too. 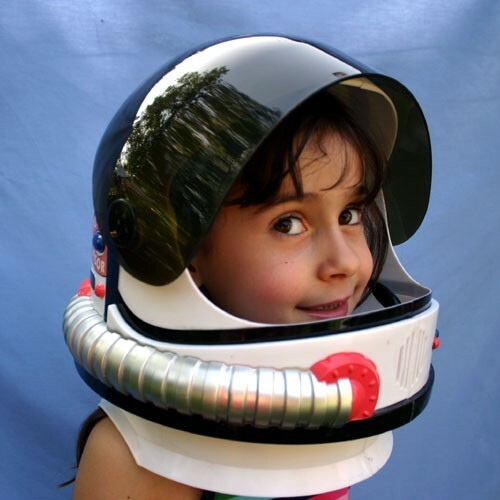 The helmet rests on the wearer's shoulders to allow a wide range of head sizes to be able to use the helmet.